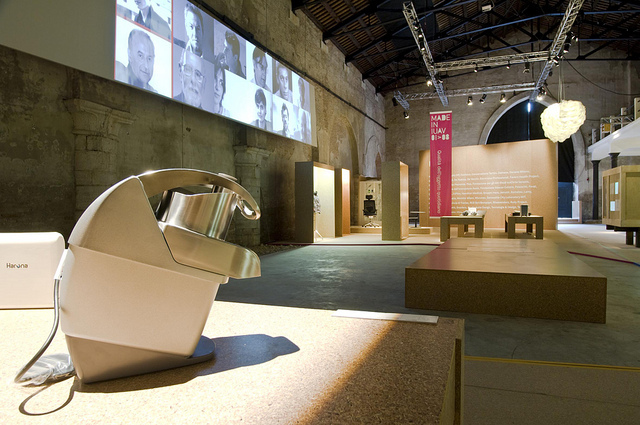 “Made in IUAV” is an exhibition on the university of design that, from its birth in 2001, was suggested as a model in innovative training system for design. 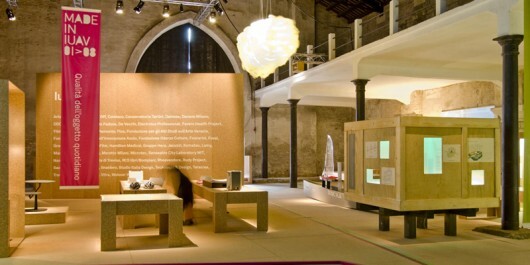 The exhibition presents more than 150 projects, product design and communication made by students, alumni and faculty. The aim is to show that the educational outcomes and designs are the result of a number of factors and one of the first is circularity between profession and academia. – Under “Social utility”, design projects are presented for work, health, enlarged to users and the environment, particularly for energy issues. – The area devoted to “Quality of daily objects” highlights how design expresses not only the aesthetic qualities in products more or less exclusive, but increases the quality of most common objects of everyday life. – In “Quality of Communication” it shows how communication strategies used by enterprises and institutions are fertile ground for a multifaceted graphic design, which contributes to the improvement of our visual world, informative, interactive. – Finally, in the section on “Borders”, the design explores the borderlands of the discipline and meet the art, architecture, photography and film.